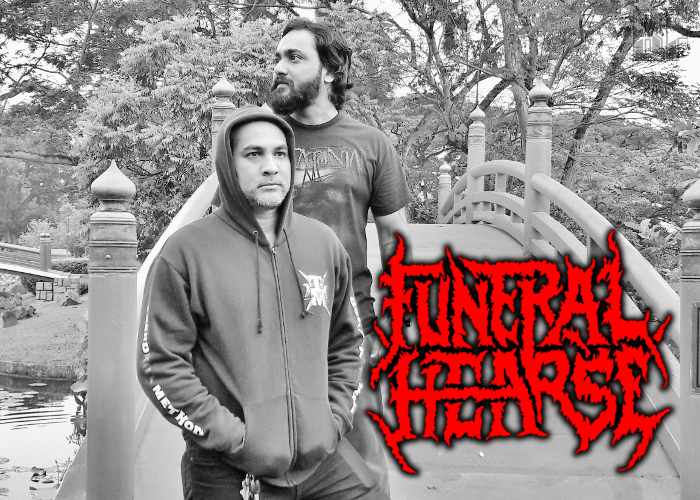 FUNERAL HEARSE is a Singapore, Boon Lay-based Black Death Metal band founded in 2015 by multi-instrumentalist Azrael (ex-ROTTEN GERMS) and vocalist Deadwax (ex-Kyng Hades Almighty, Deen Tomegatherion, Zushakon). The band released their first EP “Heralding The Deathwinds” on May 17th, which was produced by FUNERAL HEARSE and Vinod Vaskaran. It was also mixed & mastered by Vinod Vaskaran at LightWave804 Studio. The lyrics tell about the relation to the world at the edge of an apocalyptic nuclear devastation (thus Heralding The Deathwinds). 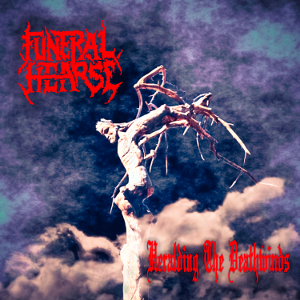 Since FUNERAL HEARSE was heavily influenced by bands such as the Old, Night, Bathory, Celtic Frost, Darkthrone, Dissection, Forgotten Woods, Hades Almighty, and Impiety, you might be felt partially the atmosphere from those bands. For fans of Black Metal, Death Metal, or Extreme Metal.